Manchester United need not break the bank and land Antoine Griezmann this summer says club legend, Rio Ferdinand. The back to back draws at home have pushed the Red Devils back into the sixth place in the points table, with less than ten games to go this season. They needed a last-minute equalizer from Zlatan Ibrahimovic to salvage a point from Everton as the Swede took his goals tally to 16 for the season in the Premier League. He is by far the most productive player for United in all competitions this term and though he might stay at the club, come the start of the next season, United need some additions to their attack to solve their issues in front of goal. And this has seen Mourinho plot an audacious swoop for Atletico Madrid star Antoine Griezmann. The French star has been in impeccable form and could cost United close to what they paid for his national team-mate Paul Pogba at the start of the season. But Rio Ferdinand feels that they need not spend big for a star striker this summer. The former Manchester United defender believes that they already have a player in Marcus Rashford, who can take up the mantle at Old Trafford. 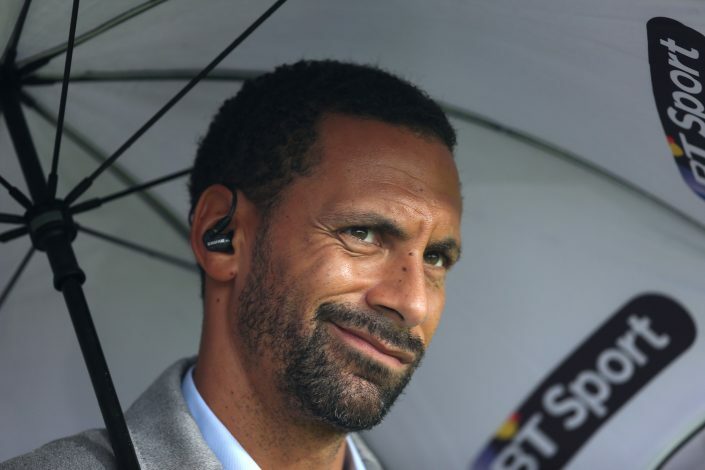 Ferdinand told BT Sport: “I don’t think they need to spend millions and millions on one. “Rashford would send nerves into my system as a defender but needs to play in best position, not out wide,” he added. The 19-year old English striker has seven goals and three assists to his name this season but do you think he can be the man to lead United to a league title in the future?